Florida sweeps the series against #3 ranked LSU with a 11-7 win. 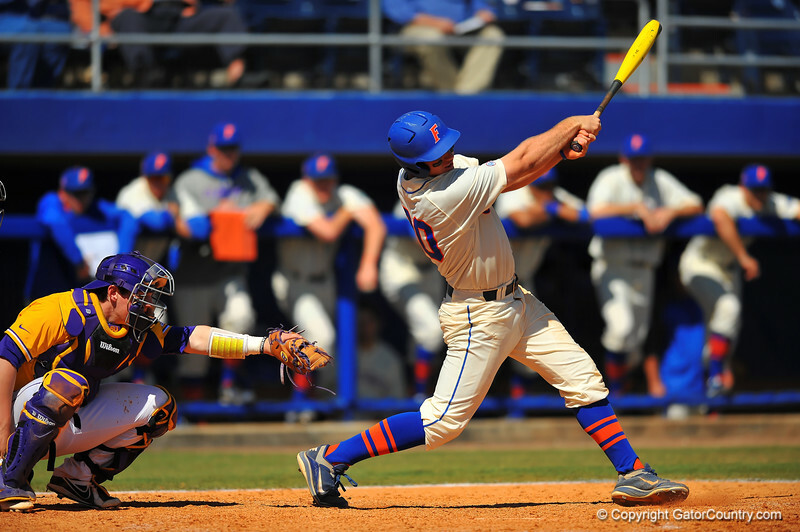 Florida sweeps the series against #3 ranked LSU with a 11-7 win on Sunday. Florida 1B Peter Alonso swings and grounds out. Florida Gators vs LSU Tigers. March 30th, 2014. Gator Country photo by David Bowie.